Las Vegas, NV – May 18, 2015 – Lithium Corporation [OTCQB – LTUM] “the Company” is pleased to announce that the Nye County Recorder has recorded the Hughes land titles in that county in the name of of Summa, LLC., of which the Company holds a 25% interest. Due to complications the Recorder had deferred recording the change of ownership of these titles for over a year after the courts first awarded title to Summa. While the question of ownership was never in doubt, a delay in the clear title did mean that it was most prudent for the Company to not overextend efforts with respect to these lands. The Nye county lands include the Tonopah project, where feasibility studies done in the 1980’s on behalf of Houston Oil and Minerals Corporation (HIMCO), and their successor Tenneco Minerals determined that our current property package contains an indicated resource in the order of 1,458,235 tons of tailings containing 2,067,461 ounces silver, and 15,137 ounces of gold, and a further 2,175,630 tons on various dumps containing 3,453,398 ounces of silver and 28,534 ounces of gold. The 1980 HIMCO report determined that using $16 silver and $600 gold a 1000 tpd cyanide plant which would operate for 7 ½ years while running the tailings and the dumps, would generate $4 million in gross revenue per year, or $2.2 million after tax (not including depreciation of capital costs etc.). Also it is believed that mining in the early 1900’s focused on extracting only “high-grade” ore so the property may be extremely prospective for hosting what could be considered currently economic mineralization that may be easily accessible in the old workings. In keeping with the old adage that “The best place to find a new mine is near an old mine” it is believed that the property still holds great promise for the discovery of additional resources in new locations. The Company is currently consulting with our partners as to how best to capitalize on this asset, and is also encouraging interested third parties to come forward and discuss the potential of these lands further. For those attending the GSN Symposium in Reno this week Lithium Corporation and Rangefront Geological have a booth – so please drop by and talk with us. 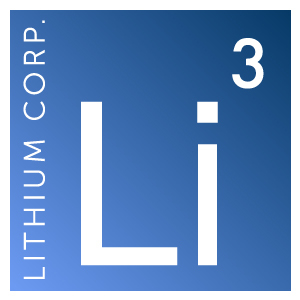 Lithium Corporation is an exploration company based in Nevada devoted to the exploration for new battery related resources throughout North America, seeking to capitalize on opportunities within the ever expanding Lithium-Ion and next generation battery markets. The Company maintains a strategic alliance with Altura Mining, an ASX listed coal producer that is currently spinning off of its’ coal assets into a Singapore listed company, so that Altura may concentrate on developing its 100% owned world-class Pilgangoora lithium pegmatite property in Western Australia. This current report contains “forward-looking statements,” as that term is defined in Section 27A of the United States Securities Act of 1933 and Section 21E of the Securities Exchange Act of 1934. Statements in this press release which are not purely historical are forward-looking statements and include any statements regarding beliefs, plans, expectations or intentions regarding the future, including but not limited to: any resources or reserves that may be attributable to the Hughes property, and production that may occur on such property and in general the existence of any commercial mineralization.